Surgical treatment methods for degenerative spondylolisthesis (decompression versus decompression and fusion) have been critically debated. The medical care situation is almost unknown for either treatment. Therefore, the aim of the present study was to provide information regarding the use of parameters for decision-making and the employment of surgical techniques. A web-based survey was performed among members of the German-Spine-Society (DWG). 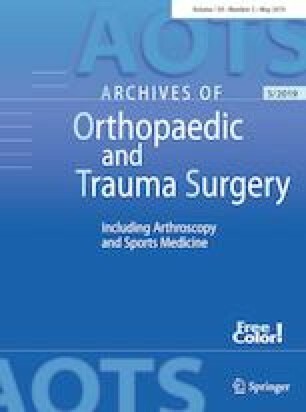 Information regarding participant characteristics (specialty, age, DWG certification status, number of spine surgeries performed at the participant’s institution each year, institutional status), estimates of the use of both treatment options, clinical and morphological decision-making criteria for additive fusion, and the surgical technique used was queried. 305 members (45% neurosurgeons/ 55% orthopedic or trauma surgeons) participated in the present study. The participants estimated that in 41.7% of the cases, decompression only was required, while 55.6% would benefit from additional fusion. Among the participants, 74% reported that low back pain was an important indicator of the need for fusion if the numerical rating scale for back pain was at least 6/10. The most commonly used decompression technique was minimally invasive unilateral laminotomy, whereas open approach-based interbody fusion with transpedicular fixation and laminotomy was the most frequently used fusion technique. Specialty, age, certification status, and institutional status had a partial effect on the responses regarding indications, treatment and surgical technique. The present survey depicts the diversity of approaches to surgery for degenerative spondylolistheses in Germany. Considerable differences in treatment selection were observed in relation to the participants’ educational level and specialty.